As winter draws to an end the time changes allowing for an extra hour of sunlight after work. The added sunlight means there is more time for recreation without the needed aid of a headlamp. Tuesday was a cold and snowy day at work but as I stared out at the mountains from the job site all day all I could think about was how I wanted to be up in the mountains playing while winter had it's last hurrah. 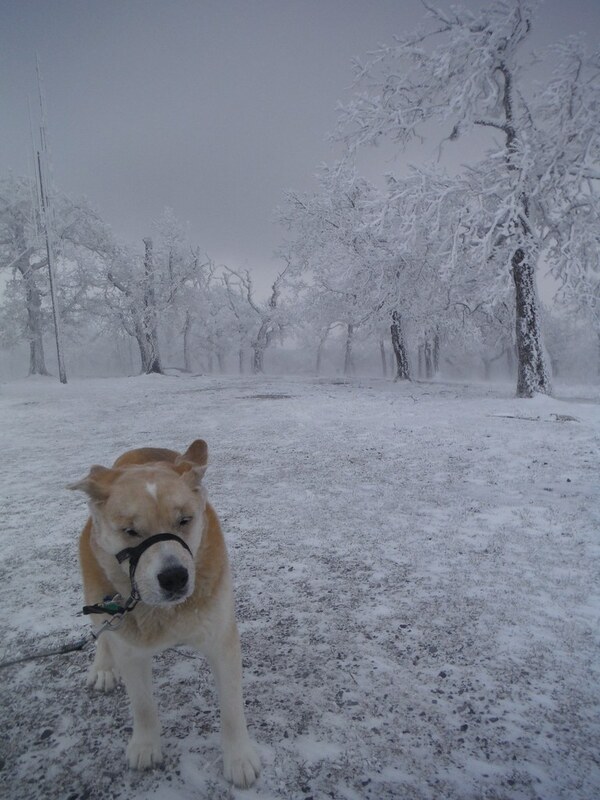 So, after work I scooped the dog up and we headed up to Bearwallow Mtn. for a fun little jog. The conditions were indeed wintry and a quick little 5k was just right - any more and things could have been unpleasant.